Thank you to those in our Joga community who perform seva with the intention of sharing their knowledge and experience with others on St. Maarten. JULIETTE SNIJDERS | Juliette first began practicing yoga in 2009 and has since explored many different variations of Ashtanga, Hatha, Bikram, Vinyasa and Yin. Juliette did her Bikram and Vinyasa Teacher training with Evolation Yoga in Santa Barbara and is a certified Yin Yoga Teacher trough Semperviva Yoga in Vancouver (Bernie Clark). Since 2016 Juliette has taught 14 Teacher trainings. With over 600 hours of yoga training and 2,000+ hours of teaching, Juliette can instruct anyone from the the newest beginner to the more experienced yogi. Juliette is also a trained Feng Shui consultant and Raw Food chef. Her special interests are in in Chinese Medicine and Ayurveda. What better inspiration for Joga than a love for yoga and healthy food? 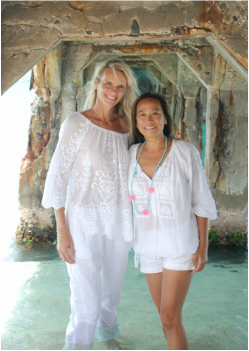 Friends since the 1990's, Jolanda and Melinda recognized there was a great need on St. Maarten for a studio dedicated solely to yoga. They saw that there were many devoted and talented yoga teachers on the island but their classes and locations were constantly changing. "We wanted to create a place where teachers on the island could unite and share a beautiful space. A consistent place where those seeking yoga could find it." 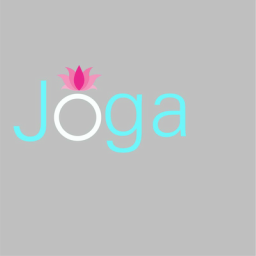 Joga's mission is to form a community where we can all learn, teach and share the love of yoga and beautiful, healthy food"
Jolanda first started practicing hot yoga in 2011 while living in Fort Lauderdale and was instantly hooked. After moving back to St. Maarten in 2014 she quickly recognized that she needed yoga in her life and so Joga was born. Melinda was first introduced to yoga 1999 and it felt as if she had come home. Her love for yoga and yearning to deepen her own practice led her to attend Yogi Amirt Desai's teacher training at the Providence Zen Buddhist Monestery in 2004. Through the years Melinda has attended numerous yoga retreats, conferences and ashrams around the world.